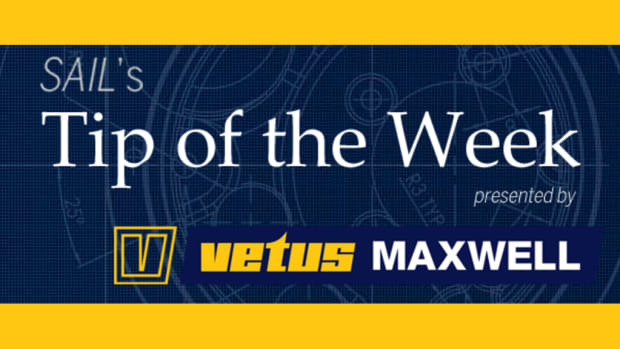 Because of its similarity to the previous Nautitech 40 Open, a winner in SAIL’s Best Boats contest a few years ago, you could perhaps label the latest version of the boat as a “Mark II” design. Nonetheless, the many tweaks made to the already award-winning design more than warrant giving the latest iteration of this boat a closer look. Although now owned by Germany’s Bavaria Yachts, all Nautitechs continue to be built in the company’s original factory in Rochefort, France. The only difference is that the Nautitech now uses joinery pieces fabricated at the Bavaria facility in Giebelstadt, Germany. The boats are constructed with a resin-infused technique that produces a light, strong, uniform composite with a clean finish on both sides. The decks also include a closed-cell foam core. The joinery on our test boat was an attractive, light-toned oak, precisely fitted and finished. The cabin doors are solid wood, while locker doors are made with a foam core with a veneer surface to reduce weight. Access to the engines is through the aft end of the hulls, and I found good maintenance space around the 40hp Volvo saildrives. All the secondary systems are neatly installed, with the wires bundled, wrapped and labeled and the hoses double-clamped to bronze seacocks with ball valves. The boat has a distributed wiring system, so only the control wires run to the panels. 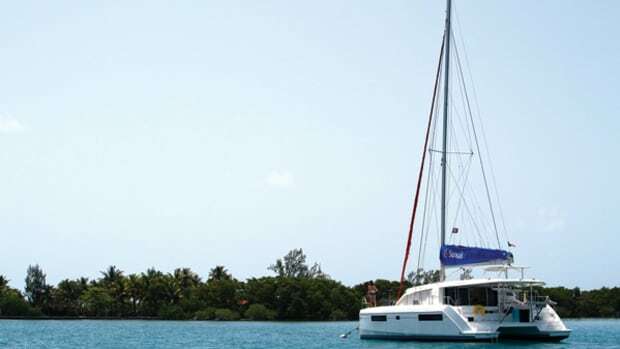 The rig is pretty standard for a cat of this size, with a Solent configuration that offers a wide range of options for headsails and an efficient square-top mainsail. Our test boat had a self-tacking jib flying from the inner stay plus a light asymmetric sail on a top-furler at the bowsprit: a versatile combination for coastal cruising. Unfortunately, the boat’s air draft will make passage down the Atlantic Intracoastal Waterway (ICW) difficult at times, as several fixed bridges on that popular route are less than 65ft at high tide. The mainsheet leads to a traveller on the hardtop, and all other lines run conveniently to a battery winches and stoppers at the twin outboard helms. I found the running rigging efficient and straightforward, although the boat could use some better line tail stowage. Sailors of average stature and agility will appreciate the easy steps to the cabin top and the excellent access to the entire length of the boom. I could even reach over the boom to zip the cover or untangle reefing lines. The new open step design at the forward end of the cabin also improves visibility from inside the saloon. The trampoline is spacious for sunbathing if the crew is solarphilic, while fitted cushions and a small table along the forward edge of the bridgedeck provide seating space for loungers. 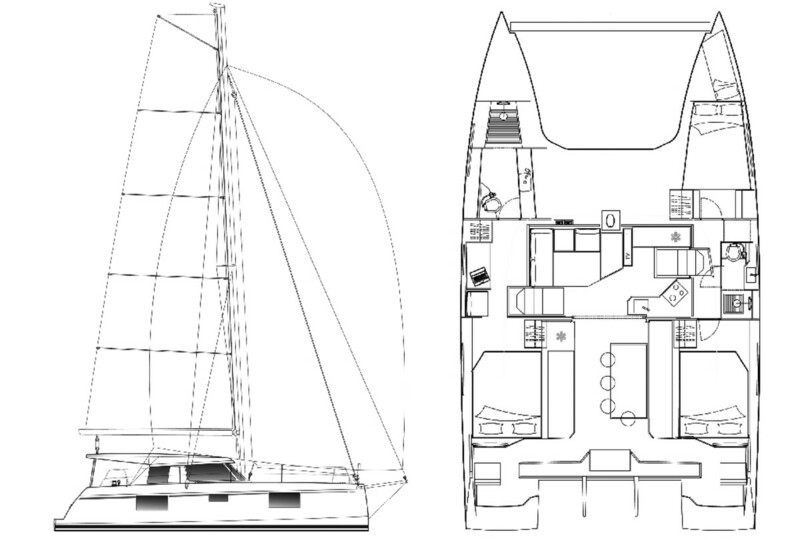 The two large foredeck lockers will hold lots of fenders and lines. A clever water catchment trough around the edge of the cabin top can fill the tanks during rain showers if you are away from marinas for an extended cruise and that same trough doubles as a continuous grab rail for the side decks. As with most cats, you need to have good balance to move about on the foredeck and trampoline after those grab rails end. Husky davits between the hulls and well proportioned transom platforms make swimming and dinghy excursions simple.  True to its name, you’ll live much of your life outdoors aboard the Nautitech 40 Open. 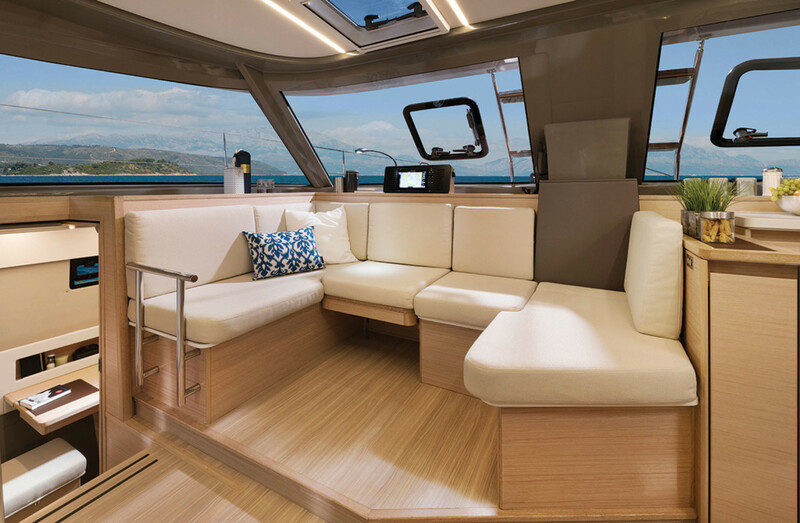 In fact, the enclosed portion of the boat is quite small, with lounging, socializing and dining all taking place farther aft under the hardtop. The builder offers a full enclosure for this area, which would be a good addition for cruisers in, shall we say, “less perfect” climes. There is also air conditioning to serve this enclosed portion of the accommodations, so it should be comfy in any weather. Entering the saloon, I discovered that Nautitech has redesigned the original galley to provide a better traffic pattern through the cabins. With a three-burner stove, a big fridge and sink, ample counter space and easy communication with the afterdeck, the cook should be happy. The designers also incorporated a clever convertible nav desk that moves on a rail to convert the seat there into a large lounging space. 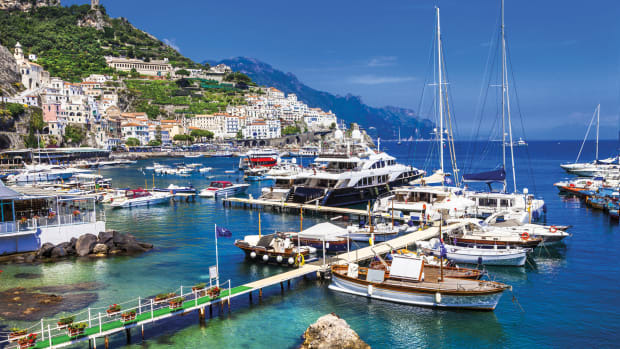 Our test boat had three sleeping cabins: two in the starboard hull with a shared head compartment, and an owner’s suite that occupied the entire port hull. Although the hulls are slim, in the interest of good sailing performance, there’s still plenty of stowage in lockers and a bright, friendly ambiance overall, thanks to the enlarged windows outboard in the hulls and plenty of opening ports on deck. 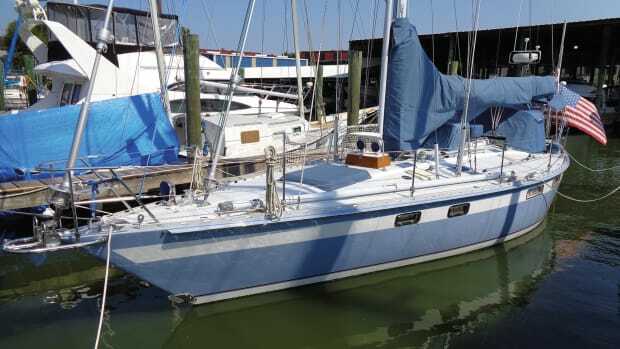 The Chesapeake summer of 2018 was not a particularly kind one to sailors, and light-air conditions were once again in force for our test sail at the mouth of the Severn off Annapolis. Indeed, at one point the gentle southeasterly zephyrs made me wonder whether it would even be worth it to try and get in a test sail. However, the Nautitech 40 Open surprised me with its excellent light-air performance. We raised the main, unrolled the lightweight outer foresail, shut down the engines and kept moving right along on a close reach at 4.5 knots in the 6-knot puffs. After that, we rolled up the jib and tacked without fuss or effort under mainsail alone. Thinking it might have been a fluke, I tried another tack under main alone, and it proved equally easy. Many cruising cats cannot do that in such light conditions. As a challenge, we changed down to the smaller self-tacking inner jib, and the boat continued to move along just fine. All the time, I could sit comfortably at the leeward wheel and watch the jib telltales to keep the air flowing over the sail while enjoying the solid, positive control of the helm. It felt like a real sailboat. It is a real sailboat. 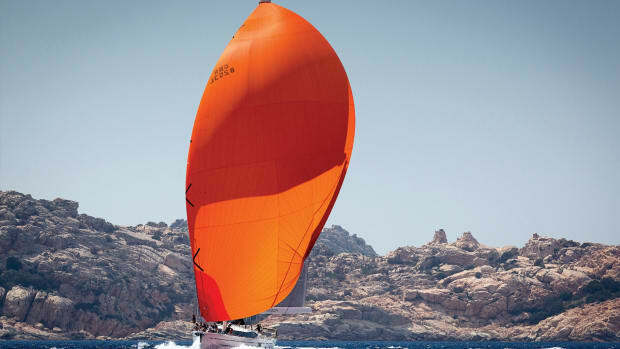 As for when the wind pipes up, SAIL magazine tested this boat’s older sister, the original Nautitech Open 40, on a breezy day in south Florida three years ago and deemed it a good performer in those conditions, too. 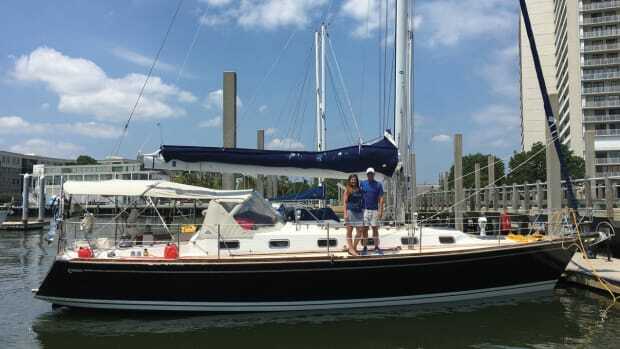 There were no handling surprises as we motored out of the harbor and put the Nautitech 40 Open through test maneuvers. The turning circle with both engines at 1,000 rpm was just over a boatlength, both to port and to starboard. 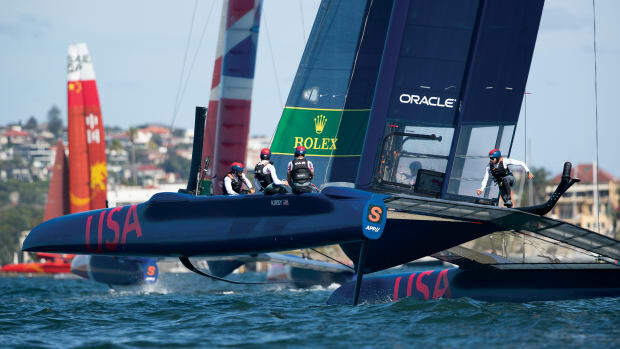 A pirouette with engines running in opposite directions easily turned the boat in its own water. With the throttle wide open at 3,000 rpm, I measured 8.2 knots, while low cruise at 2,000 rpm yielded 6.2 knots. At a high cruise setting of 2,500 rpm and 7.5 knots, the cabin was quieter than most boats of this type and size. The Nautitech 40 Openis a refined boat, the result of an evolution that provides greater comfort and visibility while retaining the fine sailing qualities and cruising amenities of its predecessor. 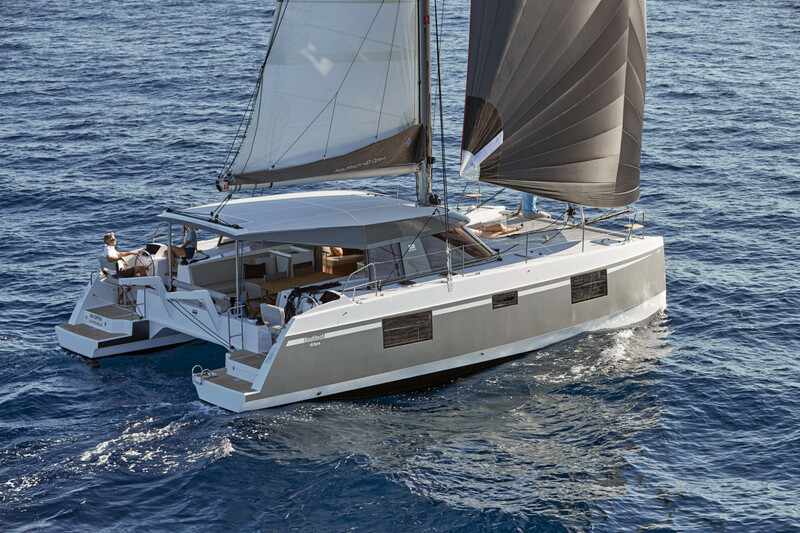 It would be hard to imagine a better multihull design in this particular market niche. PRICE $382,000 (base) at time of publication.